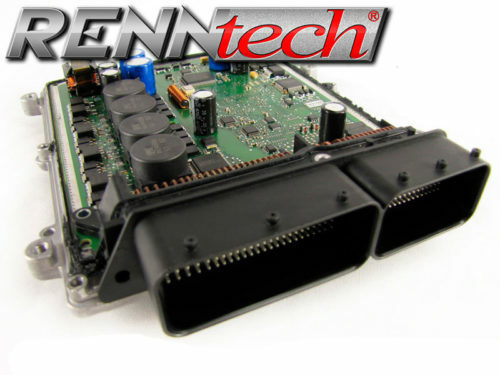 With the proprietary RENNtech ECU Tuning the W213 – E63 AMG S 4MATIC+ gains up to +82 HP and +81LB-FT, based on power numbers measured by RENNtech. Please note that the Mercedes M177 engine performance when measured, obtains higher numbers than rated from factory. 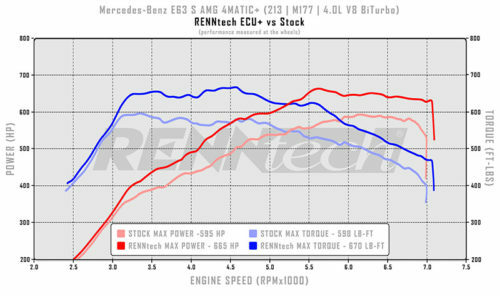 The maximum power number reached with the RENNtech ECU Upgrade for the E63 AMG S 4MATIC+ is 773 HP and 778 LB-FT.
We have found the M177 engine stock performance numbers vary from the baseline figures claimed by Mercedes-Benz. We typically see higher baseline numbers than claimed by the factory. 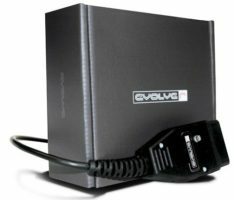 Power gains are calculated based on stock numbers measured by RENNtech. Crank Performance Numbers are calculated with a 14% Drivetrain loss on 4MATIC+ vehicles. Numbers published by MBUSA are an average over a 750rpm range for HP and a 2,000rpm range for TQ. Power gains are calculated based on the peak stock performance measured by RENNtech. 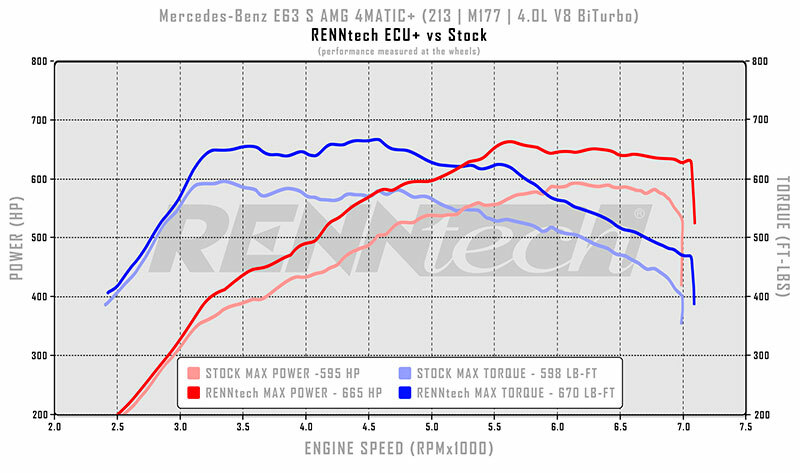 Note: Mercedes M177 engine performance when measured on the dyno obtains higher power numbers than rated from factory. 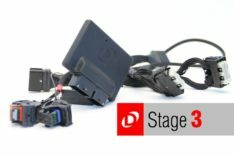 Performance numbers published by MBUSA are a calculated average within a specific rpm range, which obviously result in lower power numbers than at the peak. HP and TQ gains calculated by RENNtech are always based on peak stock results measured by RENNtech and upgraded peak results measured by RENNtech. Crank Performance Numbers are calculated with a 14% Drivetrain loss on 4MATIC+ vehicles.